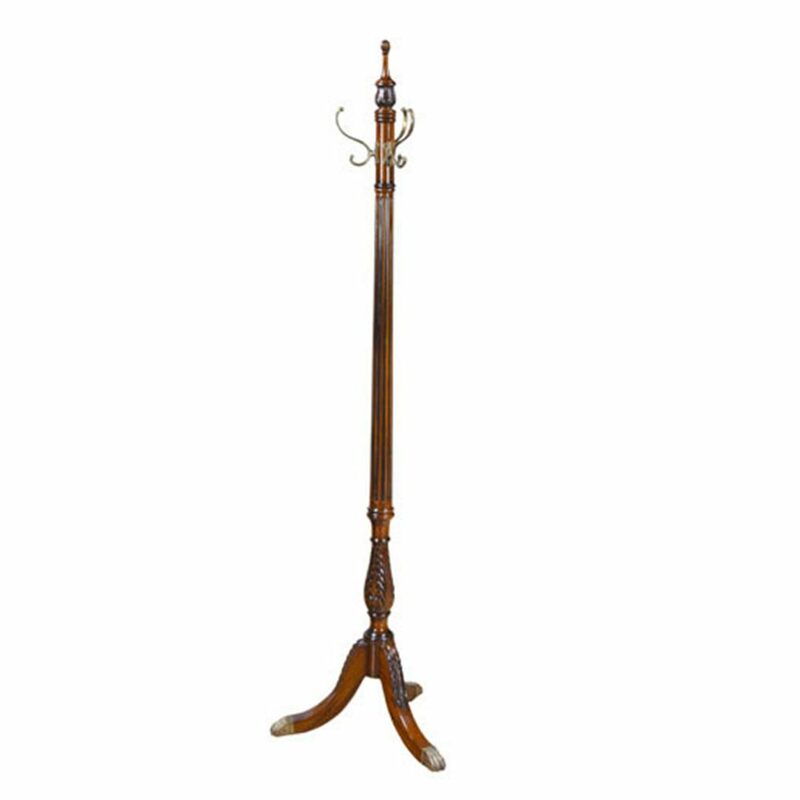 A Mahogany Coat Tree in Sheraton style produced by Niagara Furniture. 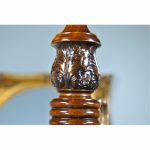 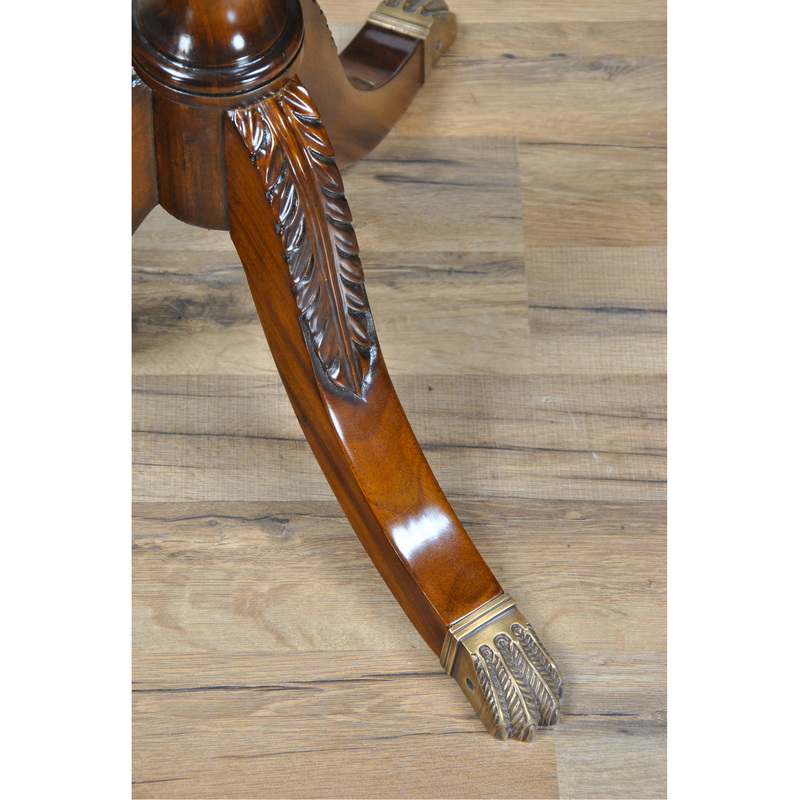 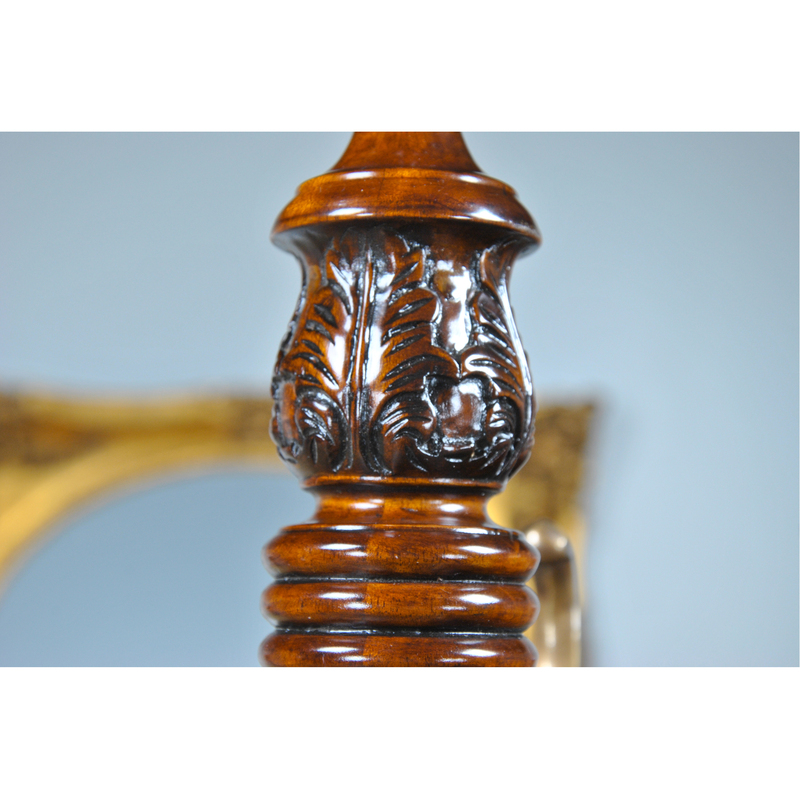 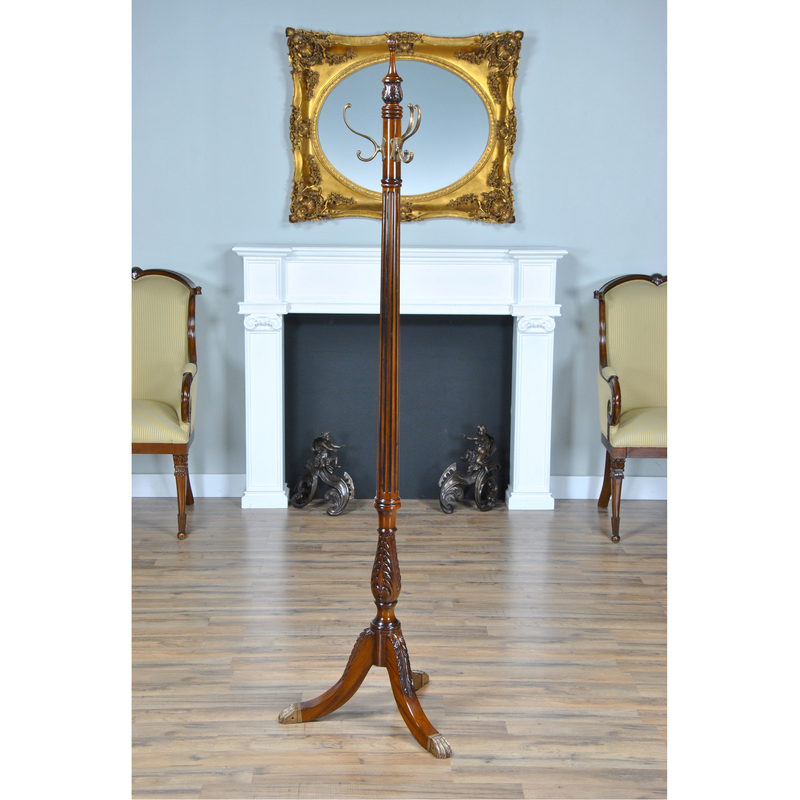 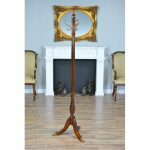 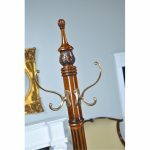 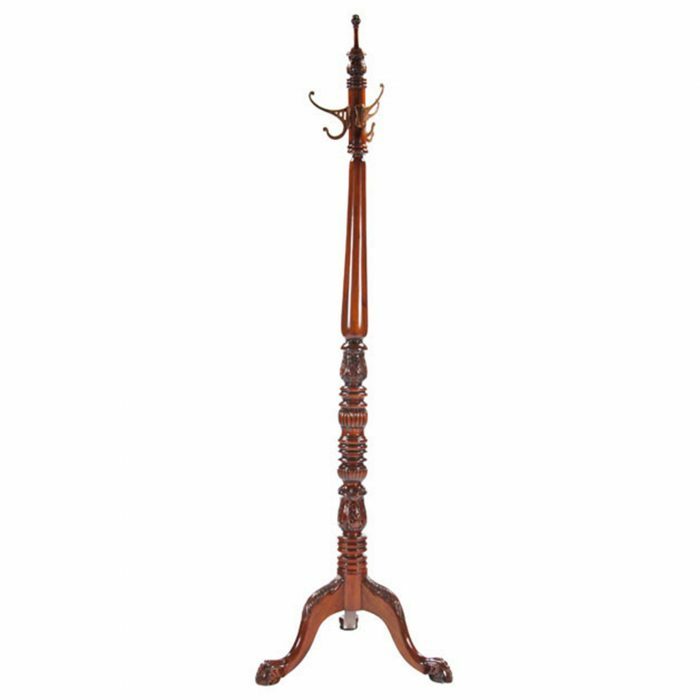 Features include solid mahogany construction with hand carved details throughout. 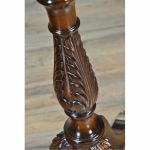 The mahogany is harvested from plantation grown, sustainably harvested trees and the carvings are executed by our skilled craftsmen with many years experience. 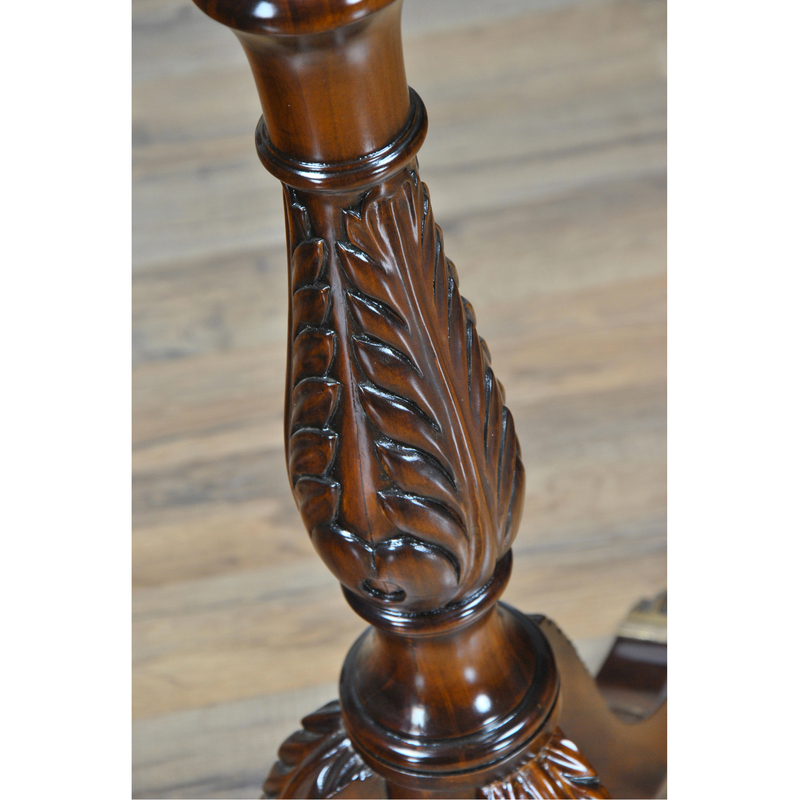 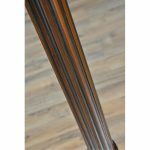 The finish is detailed with dark accents and is a multi step, labor intensive process which allows the beauty of the wood to show. 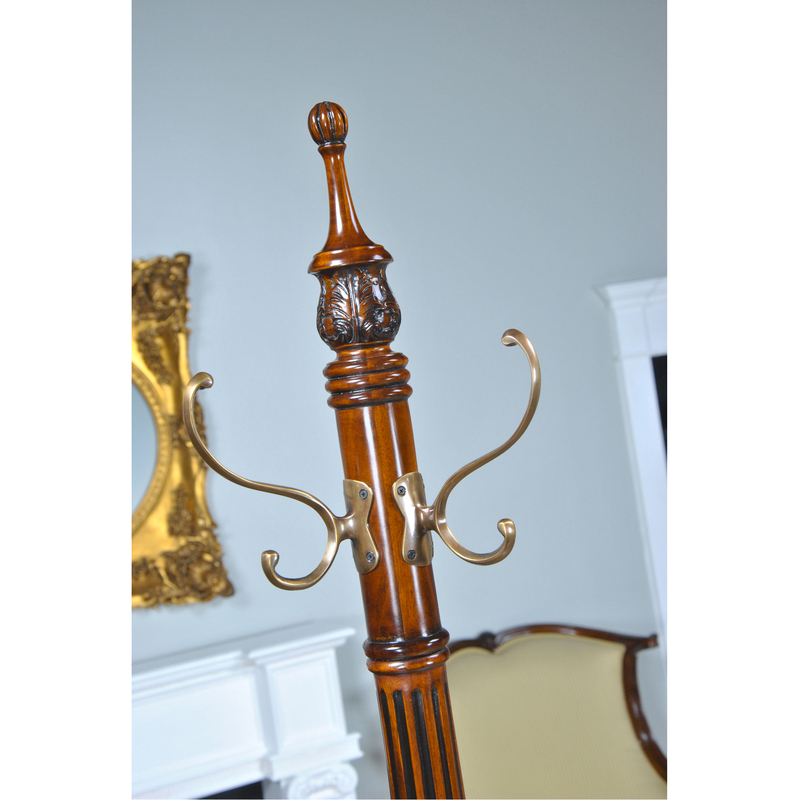 Beautiful solid brass feet and solid brass hooks contrast with the gleaming darker colored mahogany. 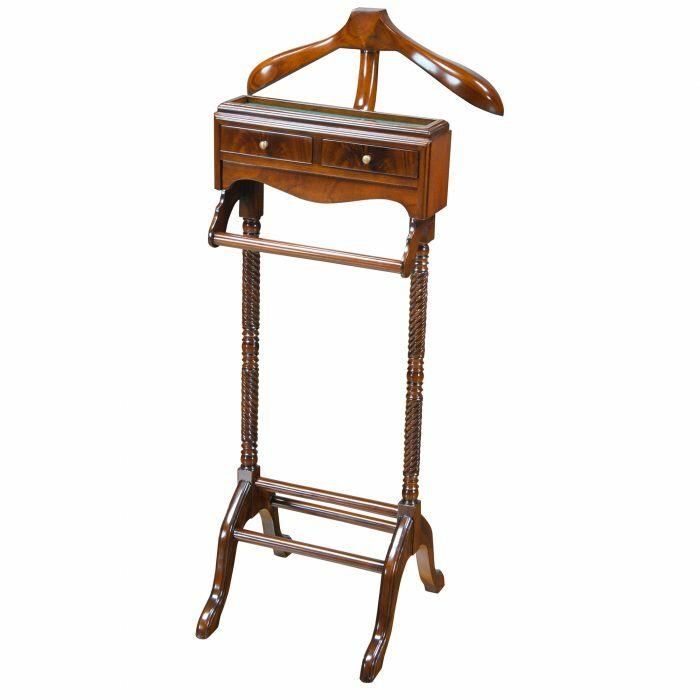 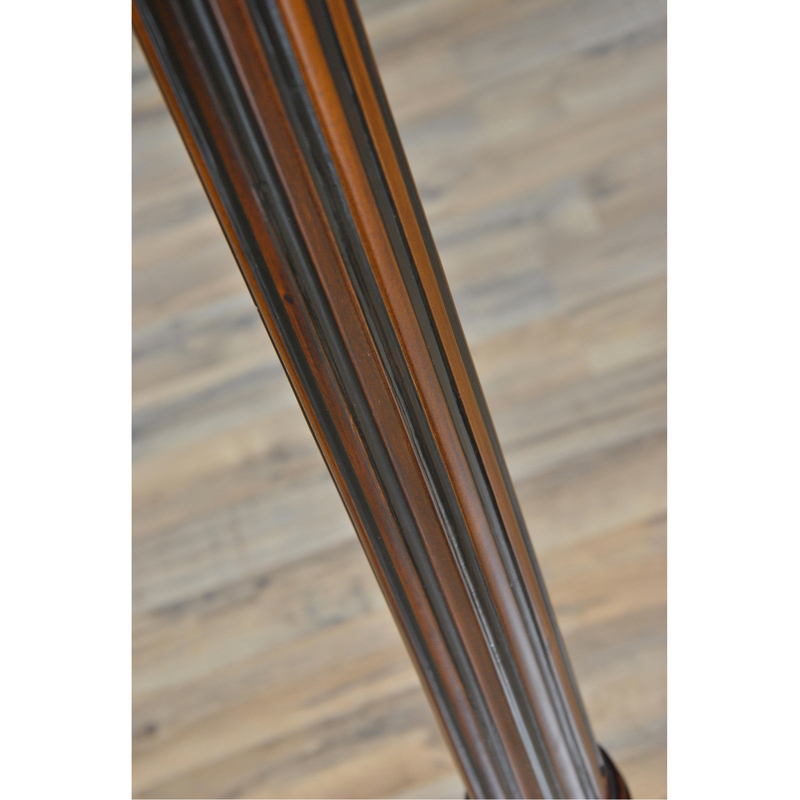 Fitted top section slides together to allow the top to be rotated while the base stays stationary so you can retrieve your coat or hat easily from any position from the Mahogany Coat Tree.